The Yarmouth resident claims self-defense in the death of a Georgetown man. 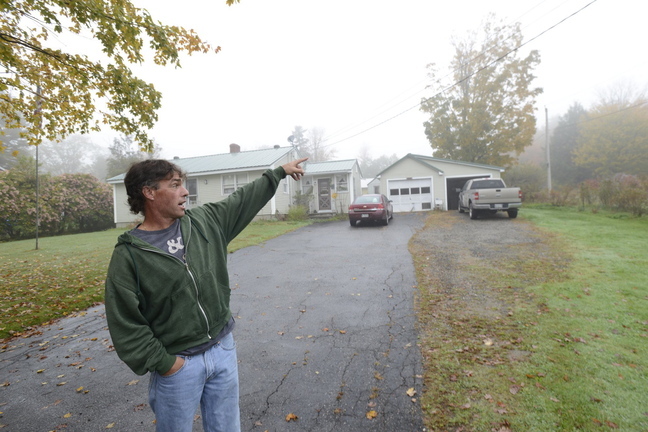 The lobsterman says he shot a Georgetown man in self-defense outside a beekeeping business. The Cumberland County grand jury has indicted a 70-year-old Yarmouth lobsterman on a charge of murder in connection with a fatal shooting last month outside a North Yarmouth beekeeping business. The grand jury rose Friday and returned an indictment against Merrill “Mike” Kimball in the shooting death of Leon Kelley, 63, of Georgetown. Police were called to 239 Greely Road in North Yarmouth on Oct. 3, a Sunday afternoon, for a report of a shooting. They found that Kimball had fatally shot Kelley. Kimball and his wife, Karen Thurlow-Kimball, had gone to Brown’s Bee Farm, where she worked, to retrieve honey. Family members of the business’s founder, Stan Brown, confronted them. A dispute ensued, and police say that Kimball shot Kelley. Kimball’s attorney, Daniel Lilley, said his client shot Kelley in self-defense. The origins of the dispute that led to the shooting aren’t completely clear, Lilley said, but his understanding is that some of Brown’s family members resented Thurlow-Kimball who, like Brown, was an avid beekeeper. Kimball shot Kelley once, probably in the arm, Lilley said, and then when Kelley continued to move toward Kimball, Kimball shot him twice more, killing him. “My client feels terrible, of course, but as he said, ‘It was him or me,’ ” Lilley said. Lilley added that he was surprised the grand jury indicted Kimball, because police released him soon after the shooting. Authorities said Kimball will remain free until he is formally arraigned on the charge. “The plan is not to arrest him at this point as he’s been obviously cooperative throughout the process,” said Deputy Attorney General William Stokes. He said prosecutors will seek a court date for an arraignment after the long holiday weekend and then seek bail conditions at that point. Those conditions are likely to include having no contact with some of the others involved in the case. Lilley said the Maine Attorney General’s Office has indicated to him that the state will seek a “modest” amount of bail. An indictment means a grand jury has found probable cause to support a charge but does not mean that the case has been proven beyond a reasonable doubt.